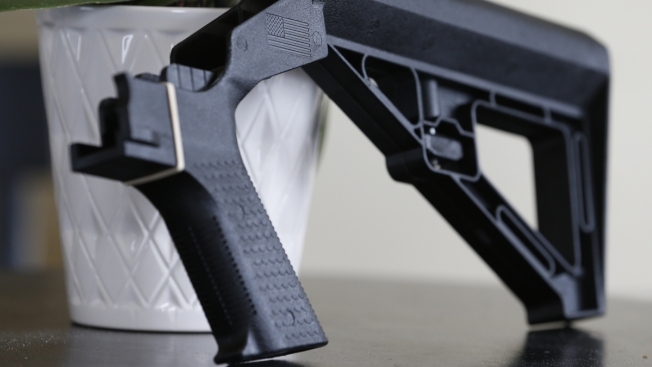 In this March 15, 2019, photo, Ryan Liskey displays a bump stock at his home in Harrisonburg, Va. 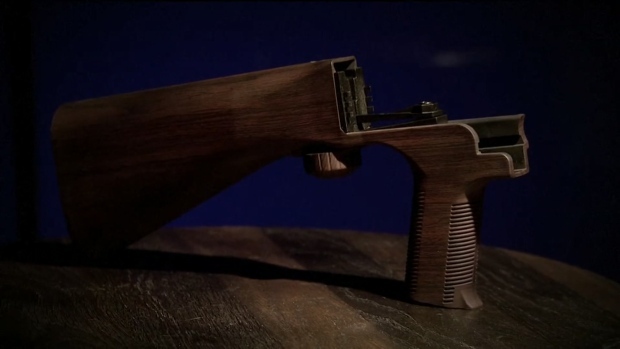 The ban on bump stocks is just a few days away and owners of the devices like Liskey are trying to figure out what to do. It's the only major gun restriction imposed by the federal government in the past few years, a period that has seen massacres in places like Las Vegas; Thousand Oaks, California; Sutherland Springs and Santa Fe, Texas; and Orlando and Parkland, Florida.